Handsome Haddington is the archetypal prosperous country town. It sits on the River Tyne, only 15 miles east of Edinburgh. Haddington dates from the 12th century but most of it was built during the 17th to 19th centuries, when the town benefited from its role as the driving force behind the Agricultural Revolution which transformed farming in East Lothian. Haddington was also the birthplace of firebrand preacher John Knox, founder of the Presbyterian Church in Scotland, whose famous tract entitled The First Blast of the Trumpet Against the Monstrous Regiment of Women did little to endear him to either Mary of Guise, regent of Scotland, Mary, Queen of England or Elizabeth I. Also born here were Alexander II of Scotland, in 1198, and Samuel Smiles (1812-1904), author of Self-Help. There's no tourist office in Haddington, but there are information boards at places of interest, and a booklet, A Walk Around Haddington (£1.50), is available from newsagents. Phone code 01620. There are several very good places to eat, including vegetarian-friendly The Waterside, Tel 825674, by the river near Nungate Bridge, where you can enjoy excellent French bistro-style food at mid-range prices. 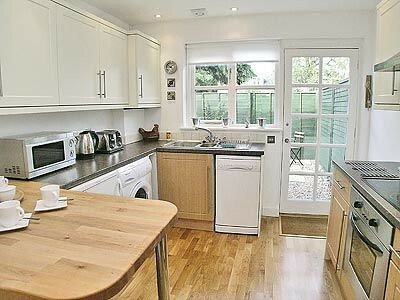 Open 1200-1400, 1730-2200 (1200-2200 at weekends). Also good is Poldrate's, Tel 826882, in a converted mill on the road to Gifford (mid-range). Another place in Gifford worth trying is the Tweedale Arms, on the High St, Tel 810240, which serves tasty bar food 1100-2300 (mid-range) and good ales; also rooms. A great place for a pub lunch is the Drover's Inn in East Linton, Tel 860298, where you can sit outside on a sunny day, or stay inside in the cosy bistro. Either way, the food is excellent and worth the trip alone. The Victoria Inn , Tel 823332, on Court St, also does decent bar meals as well as hosting the Haddington Folk Club on Wed nights. First Edinburgh run regular buses to and from Edinburgh, Tel 0131-6639233. There are also hourly buses to North Berwick (Mon-Sat, less frequently on Sun; 45 mins) and hourly buses to Gifford(20 mins). The compact town centre is very attractive and makes for a pleasant stroll. No fewer than 129 buildings have been listed as historically interesting, including the graceful Town House, in tree-lined Court Street, which was built in 1748 by William Adam, father of Robert. At the east end of the High Street, Church Street leads to St Mary's Collegiate Church, the largest parish church in Scotland, dating from the 14th century and restored in the 1970s. It's a particularly beautiful ecclesiastical building, with lots of interesting nooks and crannies, and enjoys a lovely setting on the river. There are public services, brass rubbings on Saturday, concerts on Sunday afternoons in the summer and also a tearoom. Info: Apr-Sep Mon-Sat 1100-1600, Sun 1400-1630. Free (donations welcome). Tel 823109. Nearby at Haddington House are the peaceful medicinal gardens of St Mary's Pleasance, which are free and open during daylight hours. Buried in the churchyard is Jane Welsh (1801-66), wife of essayist and historian Thomas Carlyle. The Jane Welsh Carlyle House, at 2 Lodge Street, was her home until her marriage, and part of it is open to the public. Info: Apr-Sep Wed-Sat 1400-1700. £1.50, £1 concession. Tel 823738. 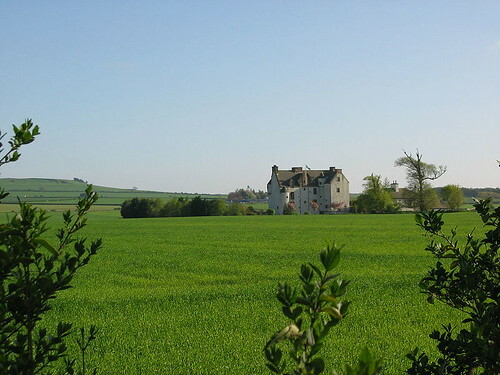 A mile south of Haddington is Lennoxlove House, seat of the Duke of Hamilton. The sprawling confection of styles consists of a medieval tower house with gradual extensions and additions over the centuries. Inside the house are some fine paintings and furniture, but the pièce de résistance is the death mask of Mary, Queen of Scots, and a silver casket in which she kept her letters, given to her by her first husband, Francis II of France. Info:Easter-Oct Wed, Thu and some Sats and Sun 1400-1630. £4, £2 concession. Tel 823720. About four miles northeast of Haddington, on the B1347 at East Fortune, is the excellent Museum of Flight, Scotland's National Museum of Aviation, now the home of Concorde. Housed in a complex of Second World War hangars and nissen huts is a vast and impressive collection of old aircraft - from the Tigermoth to the Vulcan bomber - and wartime memorabilia. Info: Apr-Jun, Sep and Oct daily 1030-1700; Jul and Aug daily 1030-1800; Nov-Mar Mon-Fri 1100-1500.Children free. Tel 880308. Six miles east of Haddington, at East Linton is the very photogenic Preston Mill, an 18th-century water wheel and grain mill, which includes an exhibition on milling. Info: Easter and May-Sep Mon-Sat 1100-1300 and 1400-1700, Sun 1330-1700; weekends in Oct 1330-1600. Tel 860426. First Edinburgh bus No 106 from Edinburgh to East Linton (Tel 0131-6639233). Just to the south of East Linton is Traprain Law, which offers fantastic views of the coast and hinterland of East Lothian as well as being the site of a prehistoric hillfort. Near the foot of Traprain Law are the extensive 13th-15th-century ruins of Hailes Castle. 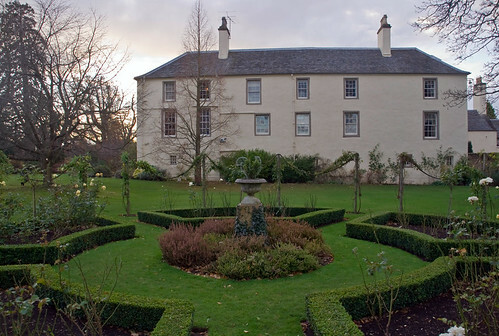 Scotland’s second oldest inhabited and one of the finest historic A listed mansion houses. east of Haddington and worth seeing the exterior. Occupied so cannot be seen inside. There are some top-class hotels in and around town, such as the Maitlandfield House Hotel, 24 Sidegate, Tel 826513, www.maitlandfieldhotel.fsnet.co.uk, which boasts 2 very fine restaurants; and Browns Hotel, 1 West Rd, Tel/Fax 822254, www.browns-hotel .com, an elegant Regency town house. A couple of miles out of town is Abbey Mains , Tel 823286, a large stone farmhouse with its own kitchen garden. Evening meals also available. A cheaper option is the Plough Tavern , at 11 Court St, Tel 823326, a traditional inn serving decent food; or B&B at Schiehallion , 19 Church St, Tel 825663.